Who is Guide App for? Create a community around the things you love. 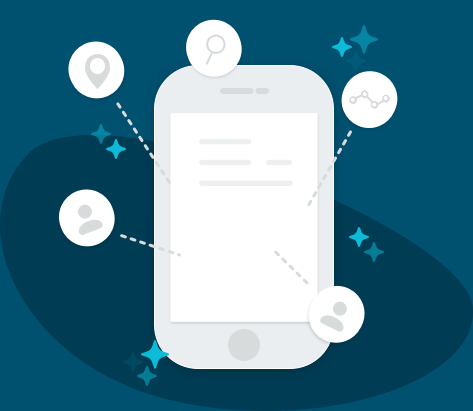 Combine relevant places, events and resources in one handy mobile app, published by you. A simple yet powerful mobile application builder that lets you create an app in four easy steps — no technical skills required. Just choose from a gallery of templates, select your features, and fill it with content. Then publish in minutes to Google Play and the Apple App Store. 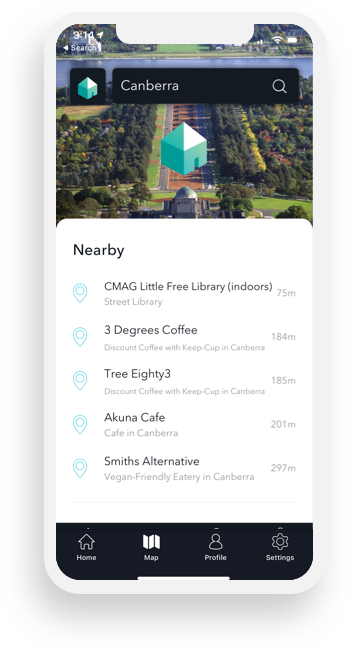 In conjunction with the Canberra City Council, Lily from the Neighbourhood Effect published a guide to verified sustainable and community initiatives in the Region. Build and grow your community, while we take care of the technology. Your App is available and updated in real-time on all major devices. Designed by experts in on-the-ground navigation and content marketing. Your App works out of the box - simply upload a spreadsheet to populate it with data. Detailed reports on user activity so you quantify the impact you’re making. Choose the level of access you require, from completely private to open for all. Our simple editor allows you to customise the experience to fit your needs.